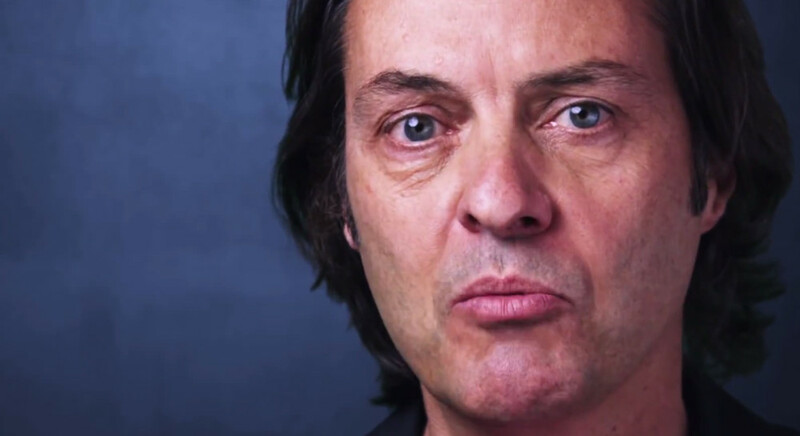 Hey, John Legere, What do You Think About Sprint’s New 50% Deal? After hyping an upcoming “major” announcement for this morning, Sprint went ahead and announced the “Biggest Wireless Offer in U.S. History.” The plan is a 50% slashing of all of the major US carriers’ plans, but also includes up to $650 per line to pay off early termination fees, should you leave your current carrier of choice and join Sprint. 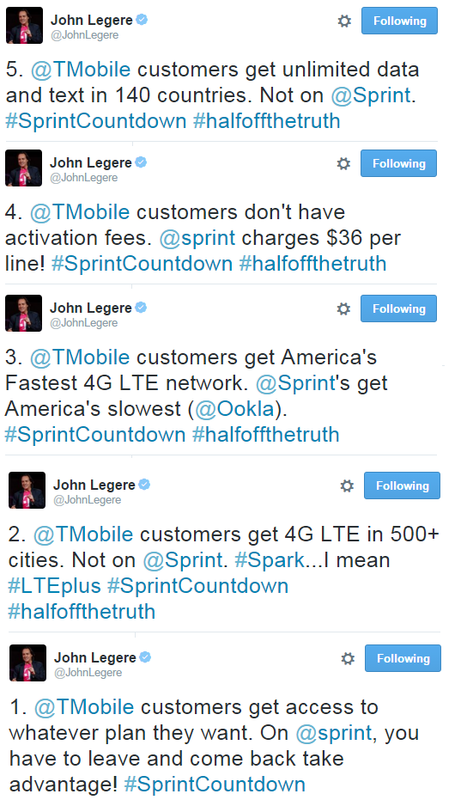 It certainly adds up to low prices, plus it comes on the heels of Sprint announcing its new LTE Plus network. While we have already seen our readers react, there is another reaction that was guaranteed to be entertaining. We are talking about John Legere’s, of course, T-Mobile’s CEO who always likes giving it to Sprint and the rest of his competitors. However, his Sprint battles almost always seem to be the best of the bunch, since Sprint CEO Marcelo Claure is willing to fire back. 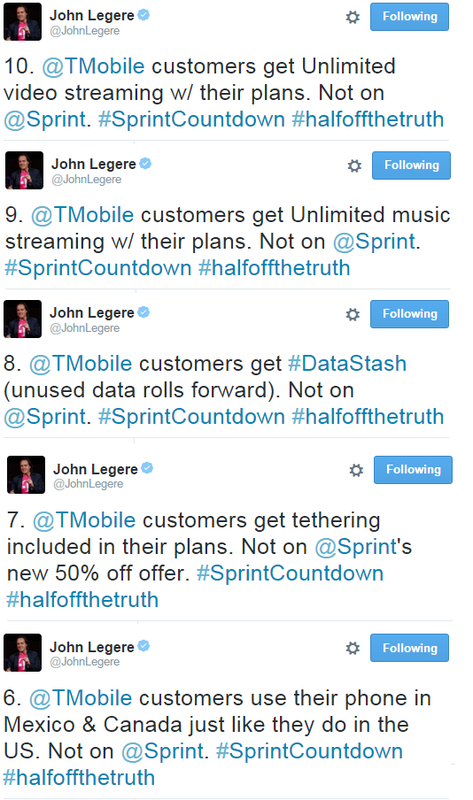 Here is what Legere had to say, through a series of Tweets that were meant to mock the countdown Sprint used leading up to today’s announcements. Now, each carrier offers their own sets of incentives in their own way, so I’m not about to sit here and say, “Yeah, T-Mobile has the best this or that!” With that said, that point 4 he makes about the $36 activation fee, which is indeed in Sprint’s fine print, seems a bit crazy. You bring a family over and you are paying over $100 out of pocket just in activations. Maybe it’s worth that out of pocket expensive to have a 50% discount in your rate? I’ll let you decide that.